Late last week’s news surfaced that the EU was to ban imports of Indian mangos until December 2015. In the UK, MPs chuckled at the seemingly insignificant reports in favor of more relevant events arising from the South Asian giant; for one, the world’s largest democracy holding the world’s largest election. However, beyond knee-jerk and, at times, blasé rhetoric (and without regurgitating countless analyses), the issue can be recast as a microcosm of the EU-India relations. When the disagreement at hand refers to a fruit’s relatively unspectacular number of exports to the EU, strain on a vital partnership is minimal. However, when that fruit severely impacts ongoing negotiations for a Free Trade Agreement (FTA) or worse yet, when the subject at hand is not a the fruit per se, but agreements regarding failed state initiates and the support of human rights, a stagnation of relations is hugely significant. The EU-India bilateral relations have more historical precedence than most others, going back as early as the 1960s. In 1994, the two parties signed a Co-Operation Agreement resulting in annual summits between the two parties and it has laid the foundation for current relations. In 2004, the Co-Operation Agreement was expanded upon via the accord of a Joint Action Plan that made India one of the EU’s primary ‘strategic partners’. Revised in 2008, the Action Plan fosters cooperation on issues of international security, the development of an FTA, and the bilateral collaboration on climate change. Furthermore, the EU pledged up to 470 million Euros from 2007-2013 that focused EU funds on the Joint Action Plan, and especially education and healthcare initiatives within India. Such further agreements only highlight the increased importance of the partnership. The EU is India’s largest trading partner, accounting for 19 percent of its exports and 14 percent of its imports, whilst India has recently risen to become the EU’s eighth most significant trading partner. From an international security perspective, the EU and India have co-operated on issues of International Terrorism for a number of years. 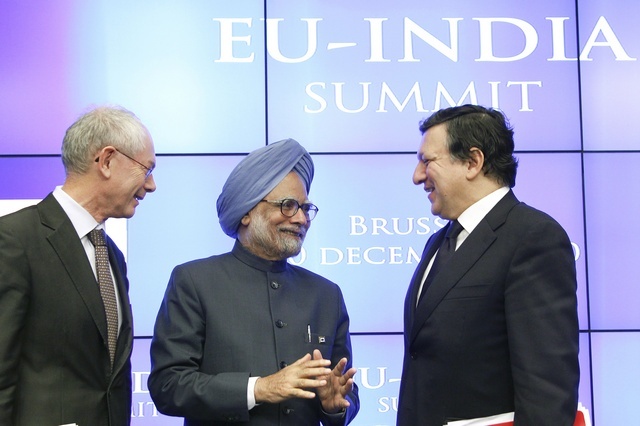 In December 2010, the EU and India signed a Joint Deceleration on the matter, showcasing a tough stance. India has also played a key role in failed state initiatives such as the Sri Lankan Civil War in the late 80s and in Afghanistan over the past decade. The subsequent withdrawal of the US and NATO troops from Afghanistan causes greater concern for India, for the fear of the Taliban spreading and infiltrating their closely monitored neighbor, Pakistan. Therefore, India’s attempt to foster friendly relations with Mohamed Karzai is essentially for national security reasons, but beneficial to the Western Alliance as well. Although not officially a part of the Western Alliance, India has provided substantial aid to the war-torn country. In fact, commentators see India as a key actor in region, pivotal in stabilizing Afghanistan. Although the official line has been scattered with various agreements, and at times, concrete cooperation with regards to security, there exists a more convoluted picture upon further examination. Academics Stephan Keukeleire and Bas Hooijmaaijers conducted a study analyzing the voting patterns in the United Nations General Assembly (UNGA) between India and the (then) 27 EU member states from 2004-2010. On issues of international security, India and the members states of the EU cast the same response between 20 – 47 percent most of the times. Although the authors warn against the fluctuation between years, the figures are similar in votes of developmental issues, and rather significantly, human rights issues. The study shows fundamental differences in how the EU and India view their role in the global community. India is far less concerned with being a global actor than the EU, and seemingly prefers specific agreements that will help growth before all else. Nevertheless, for a strategic partnership that holds cooperation on international security as a key covenant, when put to vote, the mutuality dissipates. The two sticking points that could explain for such disparity are the topics of human rights and national sovereignty. The EU’s insistence on the protection of international human rights has caused disagreements in the past on issues pertaining to the Democratic Republic of Congo, Myanmar, Iran, and North Korea, where India prefers to respect these nation’s right of self-governance. This is partly due to India’s involvement in the aforementioned Sri Lankan Civil War being largely seen as a failure when they were forced to retreat and leave behind rebel forces. As India’s economy grew in the 1990s and they and the EU initiated talks of an FTA, India’s involvement on issues of international security in effect was seen as isolationist. In essence, the EU-India relationship over the past two decades has been pursued when economics were at play, but was nothing short of rhetoric when it came to international security. This dynamic has only been further realized in the run up to the Indian election where the frontrunner remains the right-wing politician, Narendra Modi. Since reaching a peak growth of 9.3 percent in 2011, the Indian economy has stalled at under 5 percent this year. The incumbent Congress Party has been accused of widespread corruption and failed public assistance initiatives that catalyzed the halt in growth. Thus, as 800 million people head to the polls, it is Chief Minister of the state of Gujarat, Bharatiya Janata Party’s (BJP) Narendra Modi who seems to achieve almost guaranteed victory. Modi, however, is a divisive figure. On the one hand, he is the man responsible for growing Gujarat’s economy to three times its size from when he took over in 2001. He has been praised by India’s most successful businessmen for cutting through the proverbial bureaucratic red-tape, has improved efficiency in a myriad of sectors in Gujarat including the vital energy sector, and is well-known for clamping down on corruption. To the burgeoning Indian middle class of 300 million people, he is seen as the solution to almost half a decade of indolence. For the EU, Modi represents a man less willing to waver on the FTA and more pursuant to open up a combined market of 1.5 billion consumers. On the other hand, Modi is far-right Hindu nationalist, partly responsible for the death of 2,000 Muslims in 2002. In February 2002, after 59 people (most of them Hindu pilgrims) were killed when a train caught on fire, Modi immediately blamed Islamic terrorists (although an investigation credited the fire to a mechanical issue). The day after the train fire, anti-Muslim riots in Gujarat erupted leading to public mutilations, decapitations, burnings, and flogging of the state’s Muslim population. Although the accuracy of specific events is debated, what multiple witnesses confirmed was the retort given by police when Muslims approached them for help. They would respond ‘We have no orders to save you’. Although cleared by India’s supreme court, Modi’s accused compliance in the riots caused outcry from international human rights groups and resulted in the US and UK imposing a visa ban on him. His continued membership in the paramilitary group Rashtriya Swayamsevak Sangh (RSS), initiated and imitated on early 20th century fascist movements, and the unremitting praise of the group’s impact on his life, only furthers his position on the political spectrum. Now, however, the debate on Modi has changed. When he was solely known as the son of a tea-seller, slowly making his way through the ranks of the BJP, and when India’s economy (and the world’s economy) followed an upward trajectory, a harsh stance on seemingly dangerous far-right politicians was warranted. As an FTA has failed to materialize under the Congress government and as India remains an opportunity for EU business interests, visa bans have been overturned, and it is his record for eliciting Foreign Direct Investment (FDI) over his human rights record, that is taking precedence. The BJP’s election manifesto spends little time on issues of foreign affairs. However, a man with strong action on economic growth will be apt for courtship from the West. Overall, economic relations could depend further on if Modi wins by a majority or is forced to form a coalition. If the former occurs, then the expectation is that an FTA will be signed imminently. 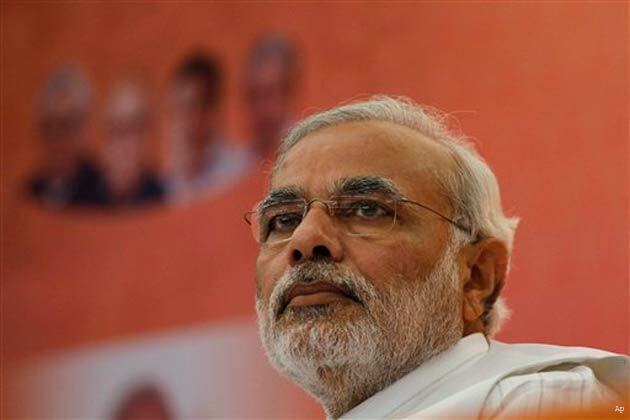 With the latter, agreements may stall; however, Modi’s reputation for persistence may serve him well in that case. Whichever scenario, co-operation on international security will remain at best superficial. If anything, Modi has proven himself a more radical actor in issues of security than the EU may be used to coming from India. Although the EU and India may share a tough stance on terrorism, Modi’s branding of the issue, in light of the Gujarat riots, can also be seen as misinformed and disproportionate. Whether the EU is willing to consider that or any other matters such as human rights as a pivotal discrepancy in the relationship remains unlikely. This entry was posted on 15/05/2014 by ISIS Europe in Akash Radia, Contributors, Opinions and tagged BJP, eu economy, eu trade, eu-india free trade agreement, eu-india relations, eu-india terrorism, eu-modi, Gujarat riots, india-afganistan, indian economy, indian election, modi foreign relations, narendra modi, terrorism in india.